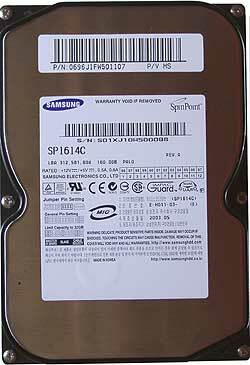 The recently tested Samsung SP1604N from the SpinPoint P80 line showed very good scores. Today we are testing the higher-level drives coming with an 8MB buffer. The SP1614N is equipped with the parallel interface, and the SP1614C comes with the Serial ATA. 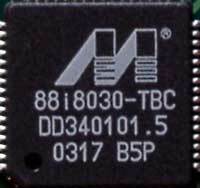 The SP1614C has an additional small chip as compared to the other model. This is a Parallel to Serial ATA bridge that we saw in the WD360GD "Raptor" (though the second and third lines differ). This bridge realizes the serial interface. The information at Samsung's site hasn't been corrected yet. A while ago it lacked for models with the parallel interface, and now I can't find SATA models. 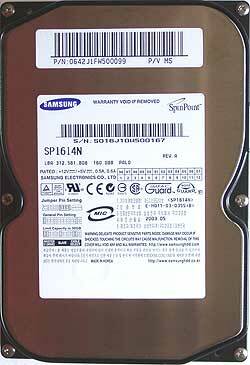 At the same time it's written that the SP1614N has the SATA interface. The testbed has the Iwill IS150 SATA RAID controller installed (Silicon Image SataLink SiI3112, 2 channels, PCI). The test system now has the following configuration. The advantage of the SP1604N in reading on the disc's "tail" can be explained by the fact that the ascending part of the diagram is located exactly in this place on this disc. The linear write speed measured in bits per inch (it was described in the first review of the SP1604N drive allows for a certain spread in values between the samples, but the gap is inconsiderable. However, you can estimate the results judging by the diagrams. The read speeds are very close, while the write speed makes me doubt again in the HDTach test and its operation with modern discs (I've already pointed out that). The access time looks very suspicious. Which test should I trust? Taking into account that the mechanical part in the drives is the same, it looks like the HDTach has more reliable results. In the ZD Disk WinMarks the drives with the 8MB buffer has a logical advantage. The difference between the drives with the SATA and Parallel ATA interfaces in the UATA/133 mode lies within the test measuring error. The scores of the drives with the parallel interface are almost identical, that is why the diagrams sometimes merge. To make the picture clearer, we give the scores in the Ultra ATA/133 interface. At the light loads the parallel drives behave in the same manner, while the "serial" drive falls behind. At the heavy loads the SP1614N looks inferior. 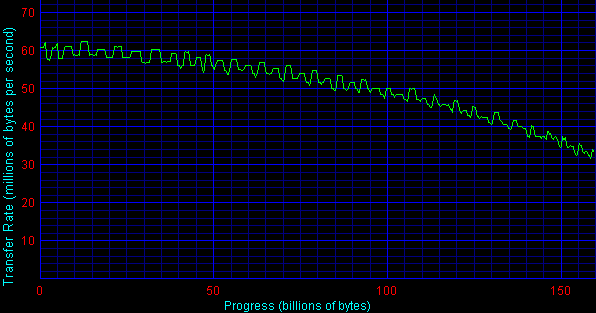 The growth of the scores of the new drive sometimes reach 5%. Note that in this pattern the SP0411N is closer to the SP1604N. 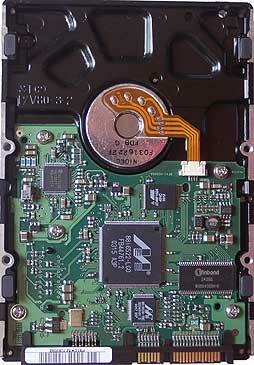 In these patterns both parallel drives have almost equal results, while the SATA drive loses to them. 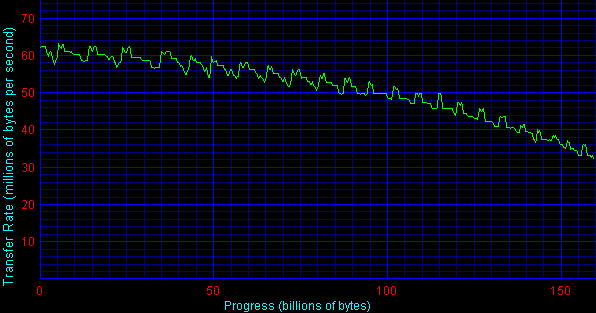 It looks like that this drive slower processes random requests. Let's check it. Well, at the light loads the SP1614C yields to both Parallel ATA drives in the random reading mode. In random writing the SP1614N loses to its junior brother at the heavy loads, and it comes closer to the SP1614C. Have a look also at how the drives behave in the database pattern with changeable correlation of requests for reading/writing. The behavior looks the same. The next test is for serial modes. 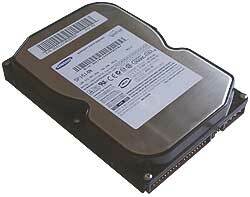 The drive receives requests for reading or writing of data blocks the size of which gradually grows up. The queue depth is fixed at 4 (very light). 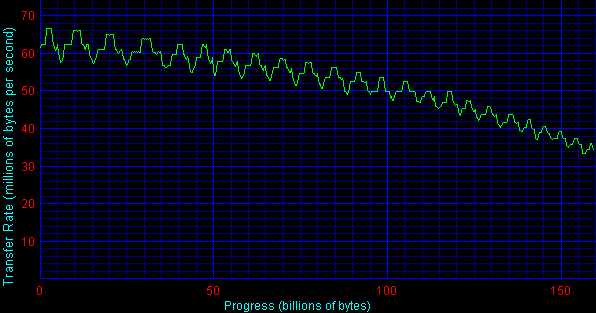 The drive with the serial interface reaches the maximum speed a bit earlier. The maximum number of executed requests is higher in case of the drives with an 8MB buffer. As I mentioned in this review the Samsung SP1604N impressed me in this respect: it works very quietly, especially when positioning the heads, thanks to the SilentSeek technology. Well, we didn't expect that the bridge added would spin up the SP1614N drive. That is why it's still too early to buy SATA drives (if it's not a 10K model from WD). 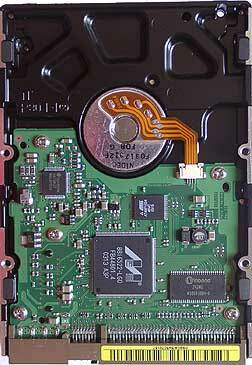 Nevertheless, we will soon compare SATA drives available at the moment on the market. The scores of the SP1614N are logical but it has an advantage compared to the earlier tested drives with a 8MB buffer: its performance doesn't drop as compared to its 2MB sibling in the Intel IOMeter. The conclusion will be the same: the new line of Samsung drives is noteworthy for shoppers.